We are offering supreme quality Printed Flexible Pouches that are designed from high quality polythene and water proof. These pouches are used in packing biscuits, namkeen packets, detergent powder, chemicals, grains etc. These are available in several designs and shapes as per the requirement of our clients. These are easy to carry and are tamper resistant. 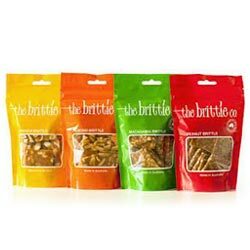 These pouches are user friendly and offer reasonable packaging. 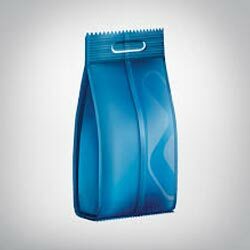 Our company is involved in designing tough Pouches with D Punch that are makes the carrying of pouches comfortable and easy. These are widely popular because of their unique idea and user friendliness. It is used in almost every industry, such as food & beverages, dairy industry, textile industry, construction industry, sanitary industry etc. 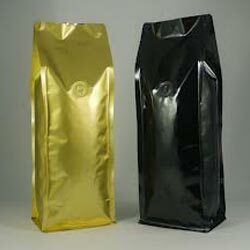 The size and dimension of these pouches with D punch can be customized as per requirements of our clients. 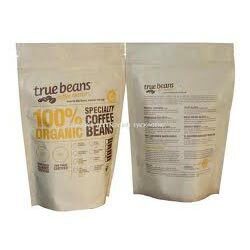 Our company offers Degassing Pouches that are used in packaging of coffee powder, synthetic milk, supplements, rice packets etc. In this, the pouches has minimal or no gas in pouches. These are hygienic and safe for storing eatable items and heat resistant. We provide these in customized designs, colors and shapes according to the requirement of our client. These are also abrasive resistant and torn free. We are offering Matt Nitrogen Flushing Pouches that have finest sealing and are extensively used in packing chips, namkeen packets, biscuits, supplement powder, fast-food etc. Our company manufactures these pouches for several big brands and is acknowledged for their impeccable quality and durability. We offer these in various sizes and shapes as per the requirements of our clients. These pouches are torn free and temperature resistant.